Planning a family vacation can often seem like quite an undertaking, but Vacatia can make it feel simple. Through Vacatia, you can find an exceptional vacation rental that meets all of your needs in some of the world's hottest vacation spots, so Vacatia can significantly improve the quality of your vacation and reduce the stress of planning a trip. If you're looking to soak up some sunshine and experience the beauty of the desert on your next family getaway, you should head to Arizona, where there's no shortage of things to do or see that the whole family will love. 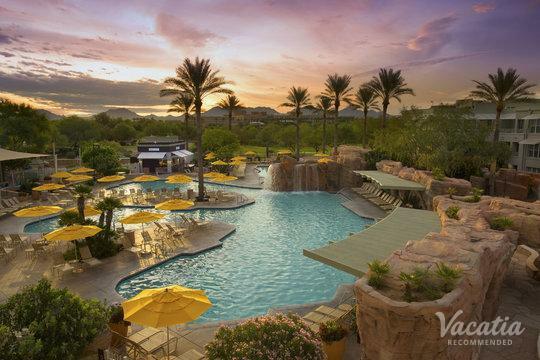 Vacatia can help you book your stay at one of the best family resorts in Scottsdale so that you can your children can enjoy every moment of your Arizona vacation. Let Vacatia help you quickly and easily sift through the selection of family resorts in Phoenix until you find the best one for your family. Thanks to Vacatia, planning a family vacation can be hassle-free, and each member of your family is sure to leave Arizona with lasting memories. Phoenix and Scottsdale are ideal destinations for families, as they are home to fun museums, great outdoor activities, and plenty of family-friendly resorts. 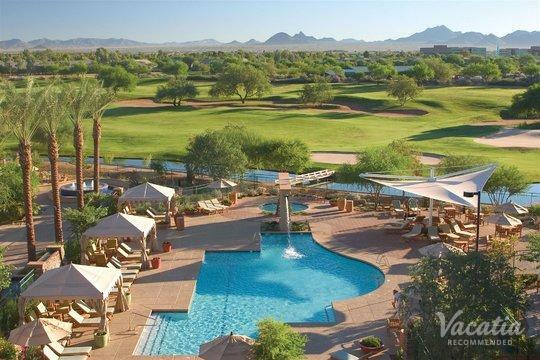 Vacatia can help you find the best kid friendly Scottsdale resorts available, and you could easily book your Arizona accommodations through Vacatia. When you stay at a Vacatia rental property, you will have your very own kitchen and added living space, which certainly comes in handy when you're traveling with children. Vacatia's resort residences provide so much more than a standard hotel provides, which is why you should book your stay at one of the best kid friendly Phoenix resorts through Vacatia. A Vacatia resort residence combines the comforts of a home with the luxuries of a resort, so you and your family can enjoy the best of both worlds during your upcoming Arizona vacation. Let Vacatia find a rental property that provides enough room for your entire family to relax and unwind after a long day of fun and adventure in Arizona so that you can have an unforgettable family vacation. Located in Arizona, these desert cities are popular destinations for those looking for sunshine, great outdoor activities, and exceptional dining and shopping. 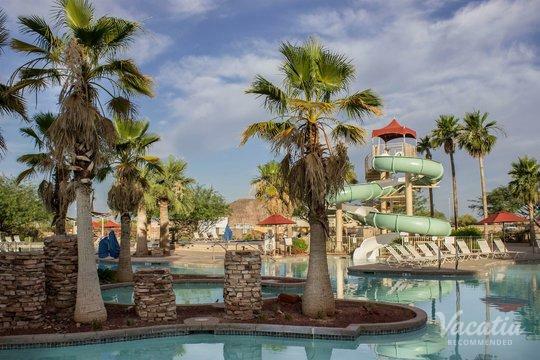 Your kids are sure to love exploring the desert landscape on hikes like the McDowell Sonoran Preserve and Camelback Mountain, but they're also sure to enjoy the fun and excitement of their own kid-friendly resort. No matter what you have planned for your family on your upcoming Arizona vacation, you should elevate the quality of your stay by booking your accommodations through Vacatia. Every frequent traveler knows that a bad hotel experience can put a damper on your whole trip, which is why you shouldn't take any chances with your upcoming family vacation - rely on Vacatia to book a resort in Phoenix or Scottsdale that your family is sure to love.